Let’s get right to the point. Is Netflix adding a type of commercial to its service, as numerous reports have suggested over the weekend? In short: No. Now, Netflix IS testing out a new placement for promos for some of its original series: in-between shows. In other words, as some power users binge-watch their favorite program, a brief, skippable promo appears on the screen, promoting a Netflix original series that the company’s algorithm thinks the user will enjoy. 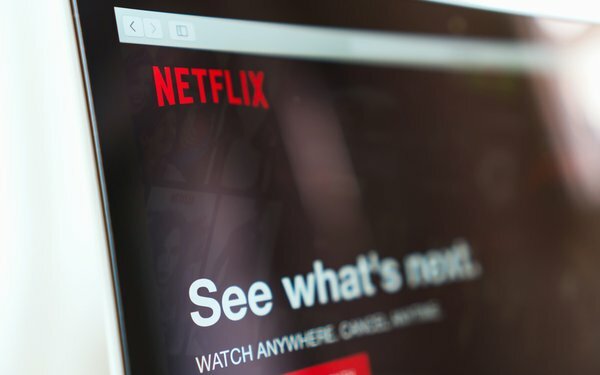 The advertising world took quick notice of the move, as interstitial ads have long been seen as a possible point of entry for brands if and when Netflix does add advertising to the service. However, rather than being an experiment to see how effective ads would be on the service, Netflix’s test appears to be just business as usual for the company. The test is limited in scope, and in a statement the company said it is one of “hundreds” of A/B tests the company conducts every year. The ultimate goal? Keep the viewer watching, and prevent them from switching over to a different service. Promos are not new on Netflix. The company has started to auto-play them while users are browsing for what to watch. What is new here is the placement, in between episodes of shows. Netflix is notorious for investing heavily in its product, and keeping viewers engaged is the ultimate goal. If the company’s interstitial promos annoy users, or don’t keep them watching longer than other strategies, than it is a sure bet that the company will abandon the format, or at least make it much clearer that users can skip it. To be sure, Netflix loves ads… when it is the one buying them. As Video Insider has reported, Netflix has more than doubled its marketing spend over the past year, and a good chunk of that is in video advertising it is buying elsewhere. The company has the creative, why not find new ways to incorporate it into its main service? It’s certainly possible that at some point in the future, Netflix will include an advertising tier to its service. This past week’s ad brouhaha, however, does not suggest that time will come anytime soon. 2 comments about "Netflix Pours Cold Water On Reports That It Is Adding Ads". Douglas Ferguson from College of Charleston, August 21, 2018 at 10:01 a.m. The advertising world cannot imagine people choosing to live on a different planet. Believe it or not, young people weaned on free videos and show clips detest advertising and seek to avoid it. Ed Papazian from Media Dynamics Inc, August 21, 2018 at 10:18 a.m.
Douglas, young people maqy say that they "detest" ads and they may also not want to see them---if this was possible. However there is an ample body of research that shows that young adults do watch many commercials---especially those for products they are interested in or those with solid entertainment values----and they also recall commercials in countless ad recall studies. Typically an 18-34-year-old will score about 10-15% below par in ad recall---not zero---and typically, eyes-on-screen studies will show simiolar results---not zero.